Have you ever heard the expression “your brand is NOT just your logo”? Well, that couldn’t be truer, especially in today's online world. You need to stand out, you need to be recognizable and you need to be remembered. That’s of course if you want to be successful, and I’m guessing you do. 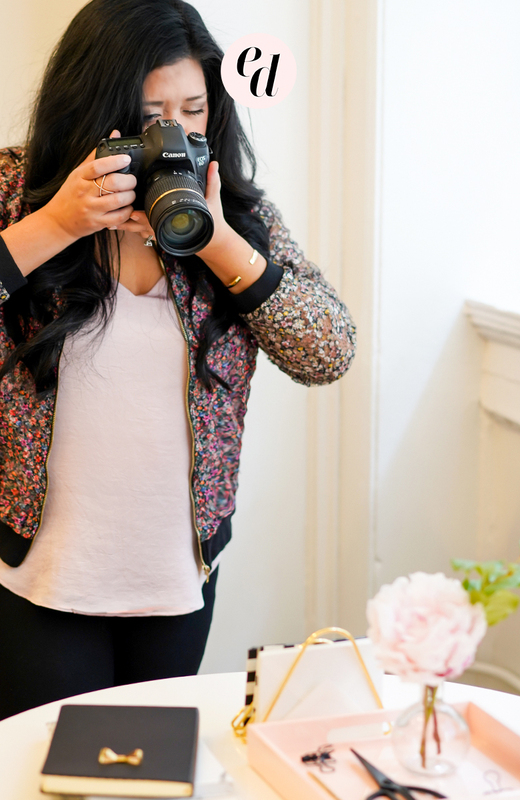 This 5 step process for creating a cohesive brand will help you do just that! What you need is more than a logo, it’s a cohesive brand strategy. A cohesive brand sets the expectation with your audience of what they are going to get. That expectation is what will keep them coming back to spend more or read more! Are you feeling the pressure? Don’t! 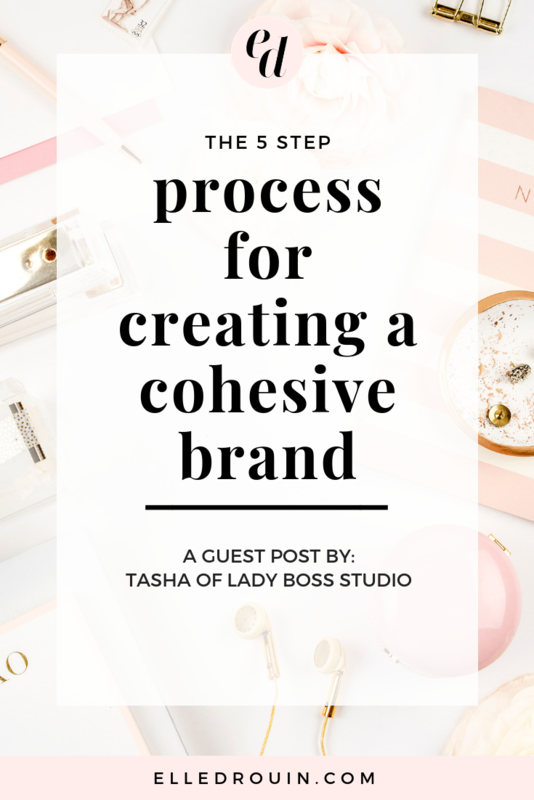 I’m going to walk you through my foolproof steps to successfully creating a cohesive brand. This is an experience you really should enjoy! To begin properly creating a cohesive brand, you need to develop the base of why your business exists, what you want to do with it and how it can add value to others. For your brand to succeed, you need to know the answers to those questions like the back of your hand. That’s why we will go through four Brand Discovery Questions and why they are critical to your brand’s development. Question 1: What is your Purpose statement? Your purpose statement is the entire “why” behind your brand. And just so we are clear, selling products or services is not your “why”. If you make “sales” or “money” your why you will be very hard pressed to actually make either. You need to think of your purpose statement in terms of value. Your purpose statement needs to revolve around the value you are going to provide to your clients/readers. How will your brand inspire your potential clients or readers and make them want to support it? As an example, let’s say you are a life coach and you offer services and also sell a course on living a positive lifestyle. The purpose of your brand can’t be to make money from services and sell courses. If money is your purpose, people will see right through it. The purpose should be to inspire people to live healthier and happier lives and provide them with the solutions to do so. It needs to revolve around adding value and providing a solution. When you figure that out, you’ve found the entire purpose of your business. That’s a huge win right there. There is an amazing article I have gone back to read several times that really shines a light on finding your brand’s purpose. It’s an interview with Mark DiSomma who is a Senior Brand Strategist at The Blake Project and he really puts everything into perspective. He explains how Dove’s mission is NOT to sell soap. Their brand's purpose is to empower women. It’s through initiatives that support their brand’s purpose that they sell soap and make money. Please check it out here, it’s absolutely worth the read and will certainly help you on your journey to defining your brand’s purpose. Question 2: How will people be interacting with your brand and what feelings do you want to invoke in them? This is one question I don’t often see people considering when they try creating a cohesive brand. Are people mainly interacting with your brand on your website, in person, in print, in a physical or digital marketplace? The answer to this is important because it should have an impact on the actual design choices you will make for your brand. If people are mainly visiting you on your own site, a softer muted color palette and logo might work. If your mainly connect with people in a marketplace, you might need something a little bolder to capture interest. You also need to consider the type of feelings you want to invoke in people. Do you want to get them fired up, excited or motivated? Or perhaps create a feeling of calm and peacefulness? Having this in writing will again go a long way once we get to the design side of the process. Question 3: What sets you and your brand apart from others? This is usually THE HARDEST one for business owners to figure out. What is your unique selling proposition? Why is someone going to support your brand and continue to seek knowledge or buy from you instead of others? Maybe it’s your customer service, your personality, your expertise, your prices, your quality. I think you get the point. You need to decide this and then make sure you deliver on that with everything that you do. You need to create a consistent expectation that your readers or clients can count on. That’s what will keep them coming back for more and turn them into true brand fans. Question 4: Who is your Ideal Client/Reader/Buyer? Now I want you to think long and hard about who your Ideal client and/or reader is. How old are they? What do they like to do? Where do they hang out online? Are they male or female? Narrowing this down will help you in the development of your overall brand strategy. It will also help you down the road with your marketing strategy. If your audience is primarily sophisticated, mature women, then your brand needs to reflect that. If they are mostly stay at home moms that have a love of DIY, then you might go for little more color and playfulness. Once you have answered these 4 questions, you should be in a really good place to start actually designing your brand, AKA the FUN part! As a graphic designer, this is absolutely my favorite part! I understand though that the visual part can be entirely overwhelming! 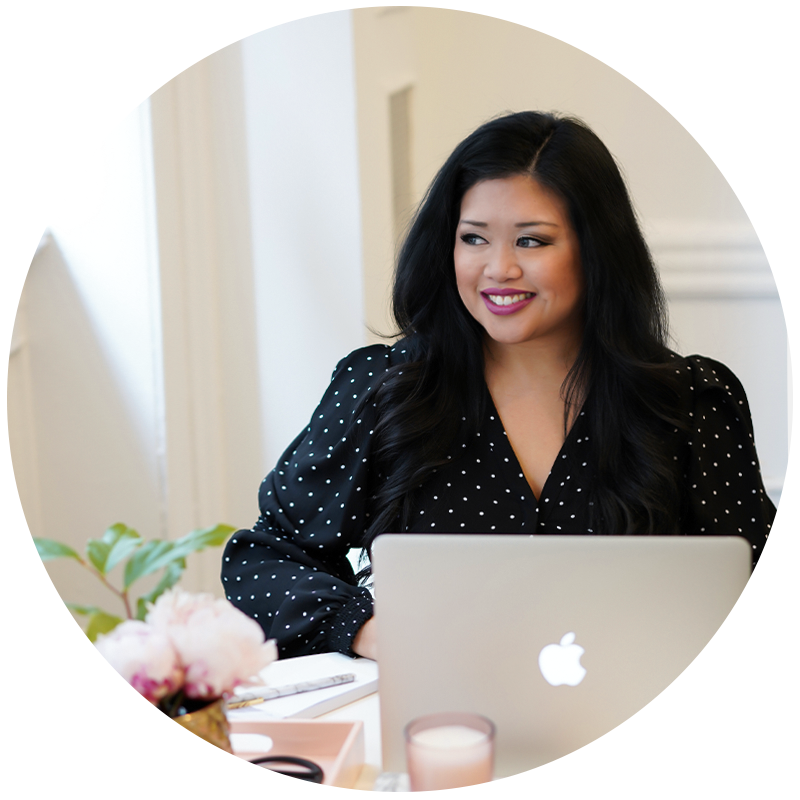 In this step, I’m going to walk you through tasks to narrow down the overall aesthetic and feel of your brand. We will totally get through it together! The first task will be to harness the power of Pinterest. Start by creating a new secret board called “(Business Name) Brand Experience”. Based on the brand identity questions above, search Pinterest for terms that you think go well with your answers. Don’t forget to also search for terms that are specific to your niche like classic fashion, modern furniture, food inspiration, crafting etc. This isn’t the time to be overly careful about your selections. Once you have saved your initial choices to your board, go back into the board and take a careful look at what you have. Are there pins that you can get rid of, now that you see them next to the others? Try to narrow it down as much as you can but leave at least 10 or so for further scrutiny. Now WALK AWAY. Yes, you heard me. JUST WALK AWAY. Wait at least 10 minutes, sit back down and open the board back up. Which pin, or pins jumped out at you and sang your song? Eliminate a few more that you didn’t even notice. Now walk away again. Yes, for another 10 or so minutes. This really does work, I’m not a crazy person. Is there one pin or a few that you keep thinking about even when you're no longer looking at your screen? Alright, you can go back now and open up the board again. Did the same pin or pins catch your attention again? Chances are yes, and you can probably get rid of the rest. 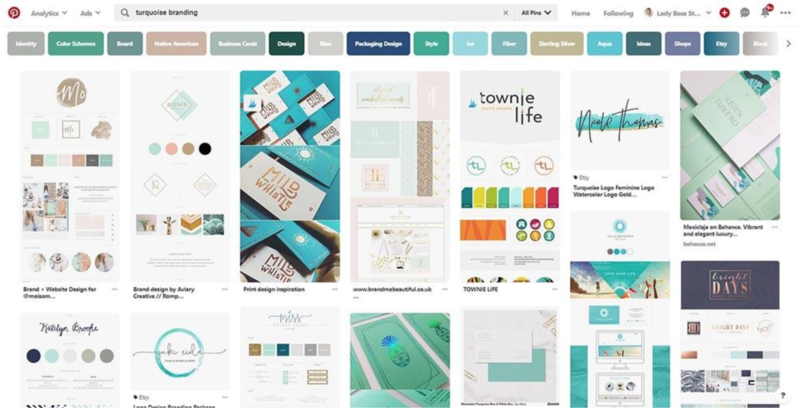 Hold onto that pin or to those couple of pins and find images with a similar color palette or feels and save them to your brand experience board. Pro Tip: Try to also include images with different textures and patterns as this will help you a little further down. Save anywhere from ten to fifteen pins. 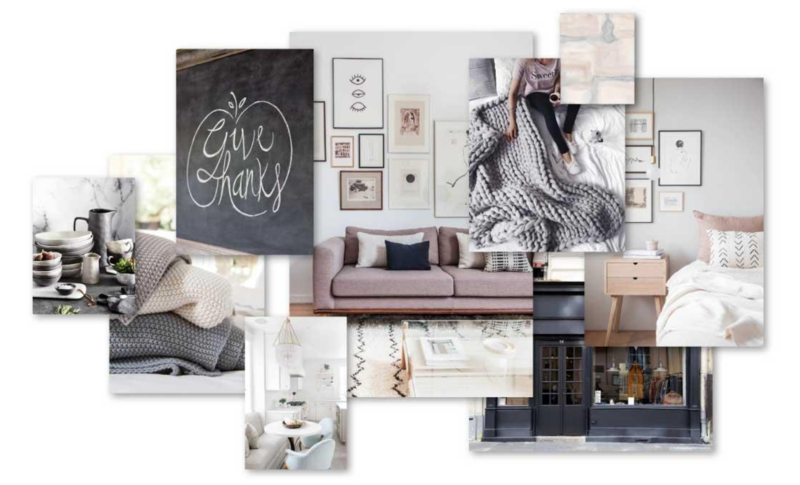 Congrats, you have created your first Mood Board without even knowing it! Your second task will be to place the images you have found on Pinterest into an inspiration board. There are two ways you can do this. As you can see from the mood board above, it also includes our next task, choosing your color palette. This is where you want to pull from the colors of your inspiration images. Choose at least 6 colors to represent your brand. Three of them will be your primary brand colors and the other three will be your complimentary brand colors. All six colors don’t always have to be present in everything you create. You can use a free program like Coolors.co to pull the colors directly from your inspiration pictures. It will also create new color palettes for you at random if you need a little extra help! Pro Tip: A great idea at this point is to also consider the types of images you are going to need for your website, products, marketing etc. At this point, I like to locate a small arsenal of stock photos that pairs well with the feel and style of the brand I’m co-creating. This is a huge time-saver later on and clients really appreciate it! Now that your mood board and color palette are all done, it’s LOGO TIME!!! It’s best to start with the main logo and then create all the additional brand collateral from there. This logo is the one you are going to use 80% of the time and it needs to represent your brand and be recognizable. Remember question 2 above that asked you how people were going to be interacting with your brand? Well, that comes into play here. When considering the logo shape and the font styles, think about where people will be interacting with it the most. That cursive font might look great on the giant sign above your store but how will it look on an itty-bitty product tag? Another tip before deciding on a font is typing out common words that you will probably be using that font for. Although the font might look great with your initials, it may not be as nice or may be hard to read when using it for your tagline or a quote. One thing I use and love, that most font sites have, is a tool that allows you to see your own text in a font before you buy it. This is a huge help and money saver if the fonts on your computer just aren’t doing it for you! I suggest using 2-3 fonts maximum and always sticking with those fonts for everything that you do. This is really going to help in creating a cohesive Brand and help people to pick you out of a crowd. I can’t tell you how many times I get asked by clients what the point of an alternate logo and watermark are. They wouldn’t be here if they weren’t important so I’m going to quickly break them down for you! An alternative logo is a redesign of your main logo that has a different shape and will fit a different kind of space. Your main logo might not fit nicely onto every type of brand material or marketing piece you create. In comes your alternate logo to save the day! The alternate logo still screams your brand and people will recognize it instantly. It will also look way better than trying to squeeze your main logo into a place it doesn’t belong. Now for the submark. This is sometimes the least used of the logo trio, but if you are creating a brand from scratch why not do it and have it ready for when you need it. I promise you that time will come. Examples of where you might use a submark are for social media icons, email signatures, your business card and many more. Just think of Facebook, Instagram, Twitter, Pinterest etc. They offer you a small circular space for an icon that most logos don’t fit nicely into. You may choose to have a photo of yourself or this can be the perfect spot for your Submark! Now that we have that all cleared up, I expect you to create all three. Before we wrap things up, you should also create some additional brand collateral. These are items like patterns, social media icons, pin it buttons, social media headers, and a business card if you need it. Most of these will be pretty simple and stress-free to create at this point as you already have your logo, additional logos, and brand colors! See, I’ve got you covered. I promise this is the easy part! You already have all of the right components, we just need to put it all together and I’ve got the right tool for you to use! 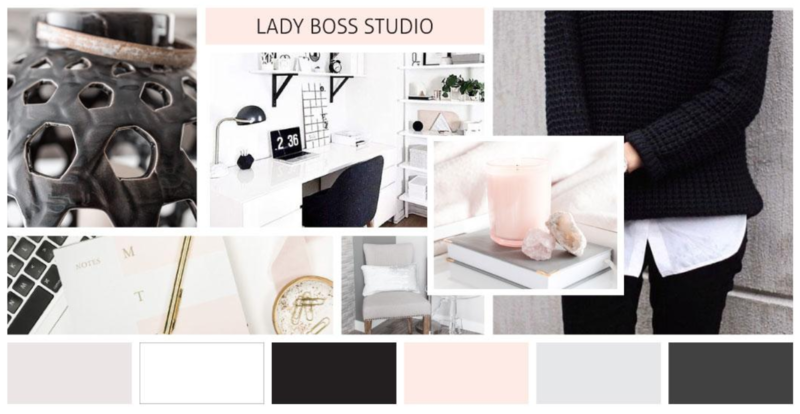 You can download a FREE Canva or InDesign Brand Board in the Lady Boss Freebie Library. Within minutes you will have your entire visual brand experience put together in one place that you can easily refer to over and over! You should also hold onto the answers to your brand questions as they will help guide you with any business decisions you make! Now nothing should stop you from creating a cohesive Brand! We’ve covered a lot of information but as I’m sure you now agree, creating a cohesive brand needs to be a top priority for your business. Chances are that it will evolve as time passes but that’s a great thing! It means that you are gaining experience and you can further narrow down your brand’s purpose and provide more value. Just as you want people to enjoy their experience with your brand, take the time to really enjoy the experience of creating it! 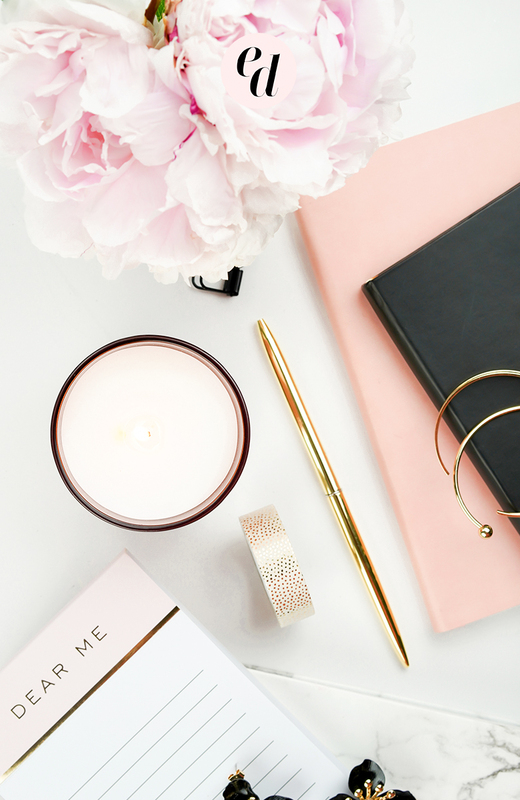 Tasha offers branding and web design with a focus on feminine design. 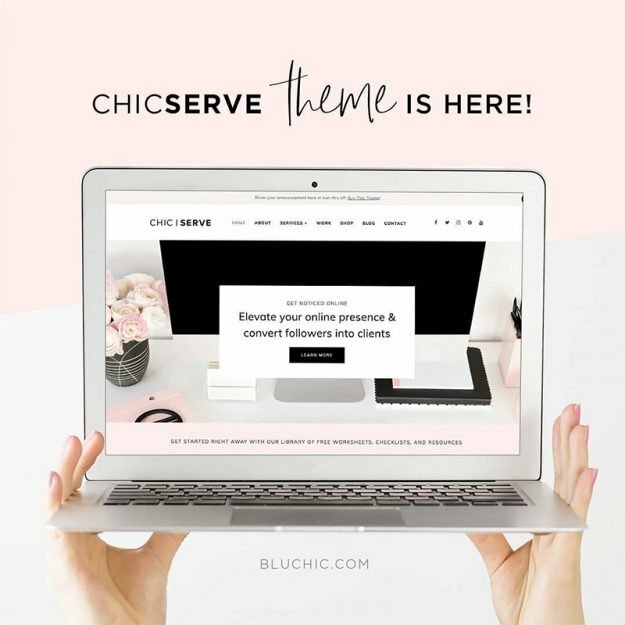 Her blog provides valuable information on topics such as branding, email marketing, WordPress tips, design tips, affiliate marketing and much more. 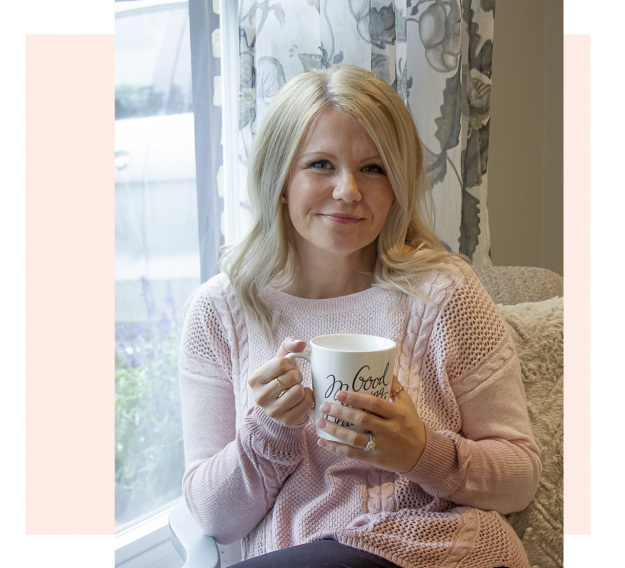 Visit her over on her website, Lady Boss Studio. You can also find Tasha on Facebook, Twitter, Instagram, and Pinterest.